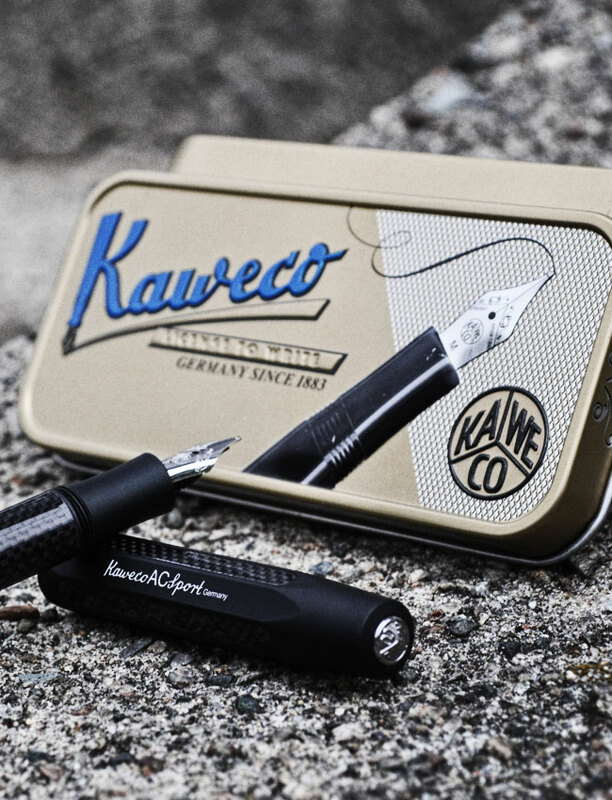 Since 1883 Kaweco of Germany has been applying their company motto “small in the pocket, great in the hand” in their efforts to produce high end writing implements. 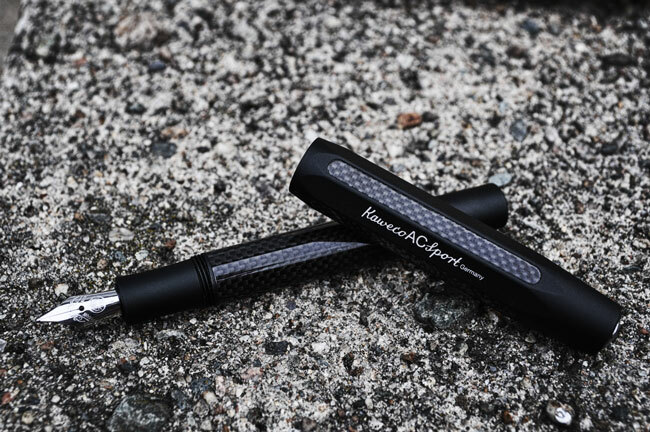 Case in point: the AC Sport Carbon Fiber Fountain Pen ($112), which embodies the company motto right down the last dotted ‘I’ and crossed ‘T’. 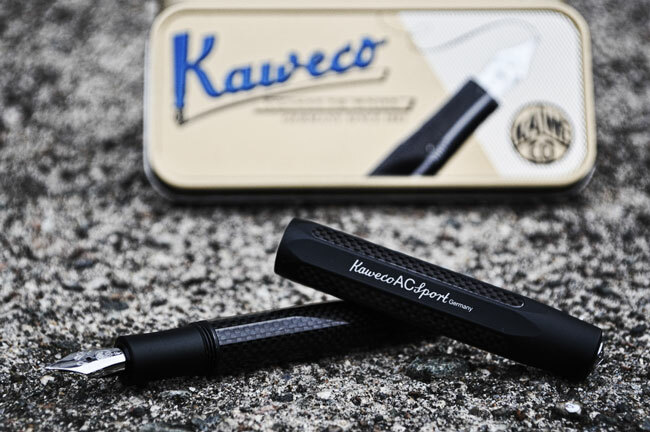 The pen is constructed from matte finish aluminum with carbon fiber inlays, a sturdy screw on cap and a stainless steel nib. 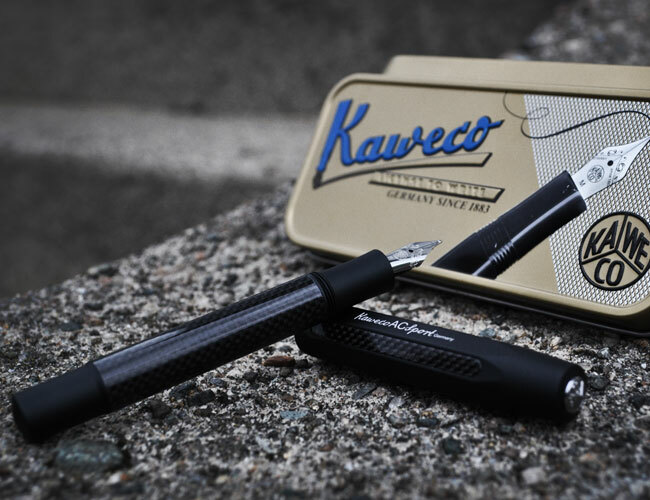 When closed it measures a pocket-friendly 4.1″, but when the pen is opened, it’s 5.6″ inch stature not only feels great in the hand, but lends its user a great deal of handling confidence. This entry was posted on September 5, 2011 by cosmonavigator. 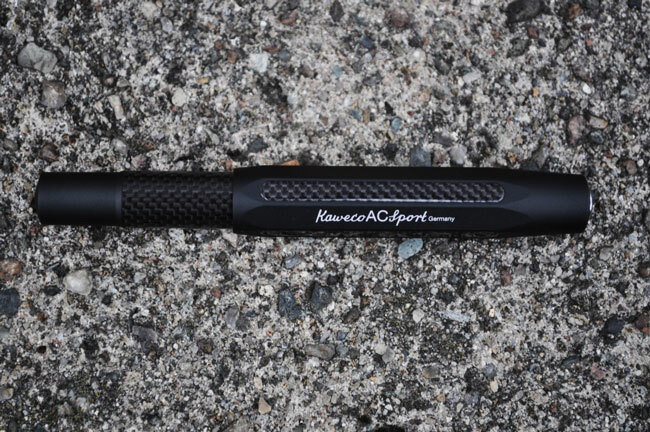 It was filed under Life Style and was tagged with 2011, alternative, cosmo, cosmo navigator cosmonavigator, cosmonavigator, current events, dailies, Design, funky, funny, gallery, great, Kaweco AC Sport Carbon Fiber Fountain Pen, life, mAY, news, nice, opinion, opinion photography, photo, photography, september 5 2011, silence, thoughts, watch.